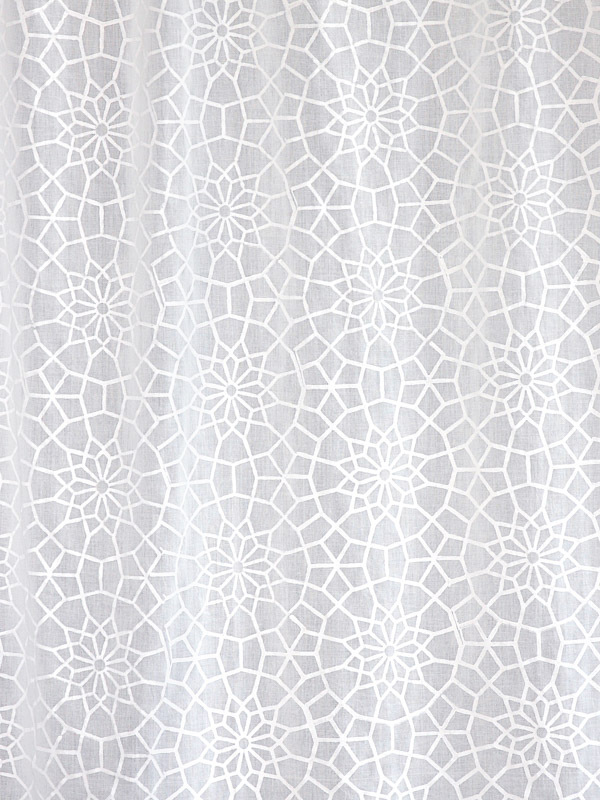 An ethereal print of white on white medallions, inspired by the elegant lattice work found in grand palaces of Marrakesh. 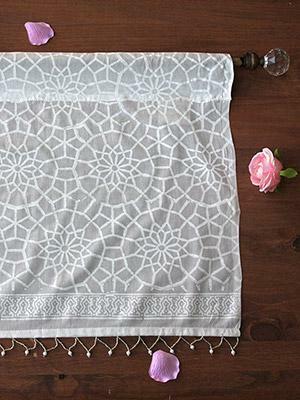 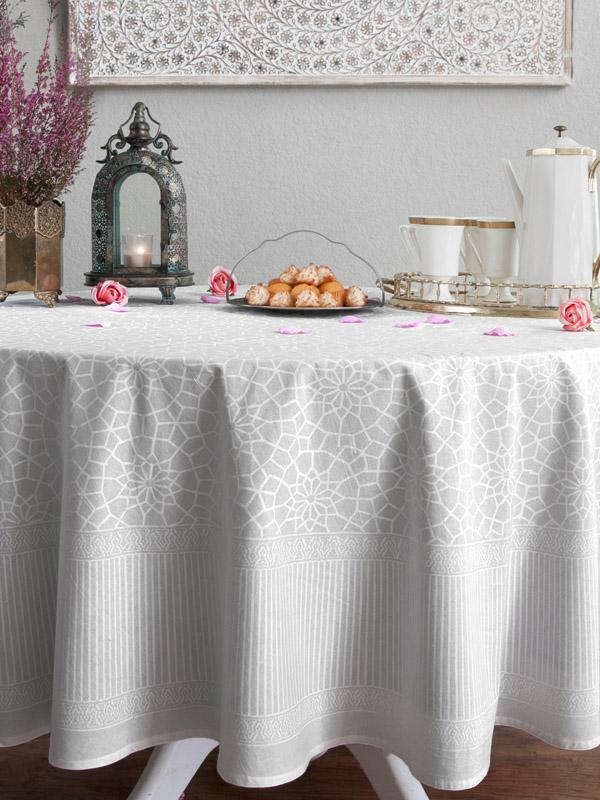 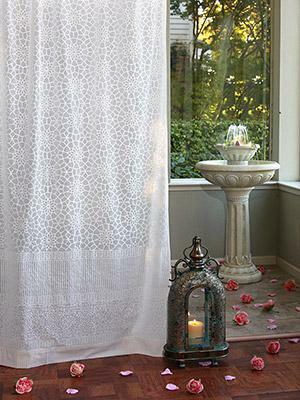 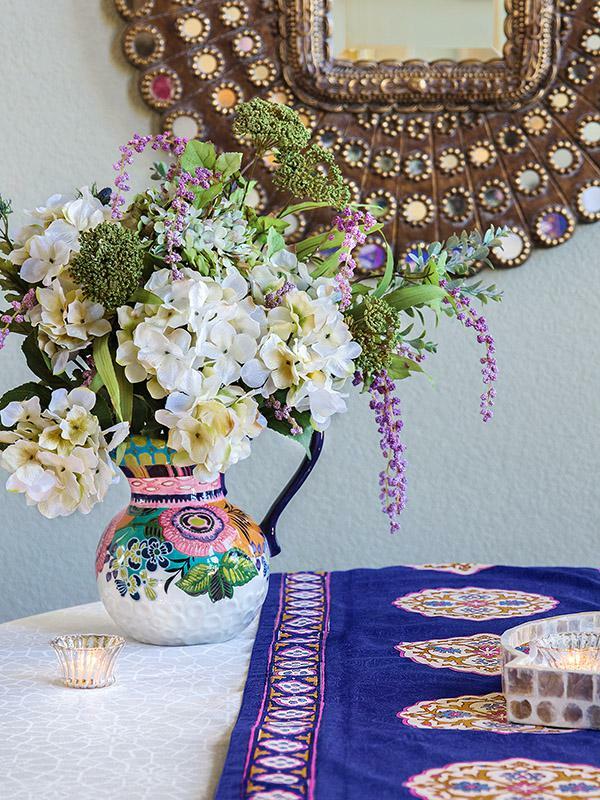 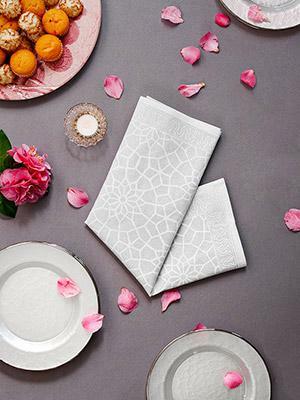 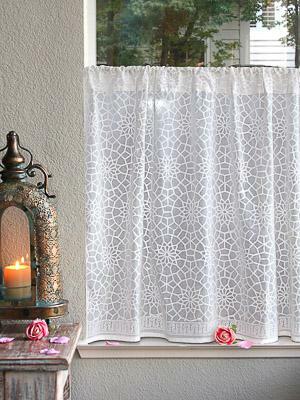 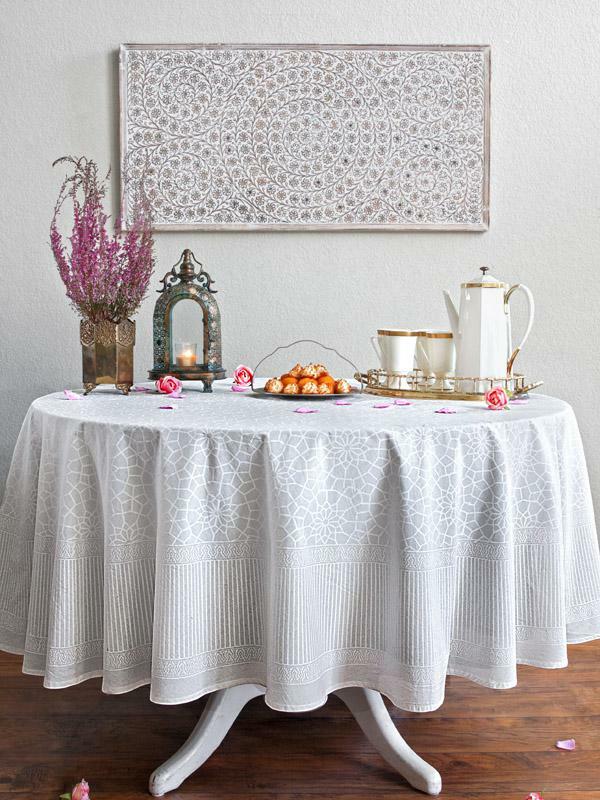 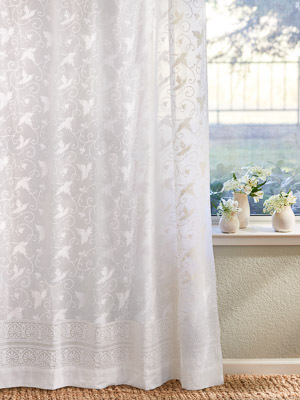 Use our white cotton tablecloths to set the mood you want to create, regardless of the occasion. 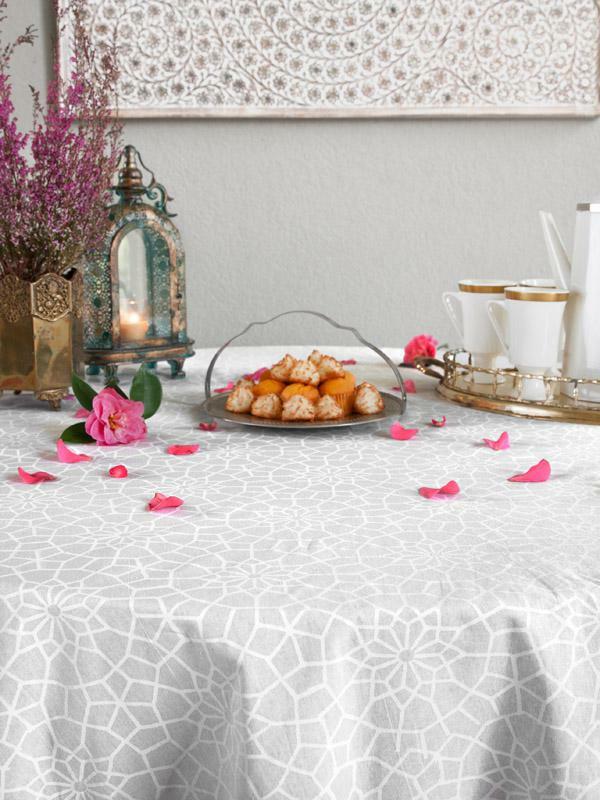 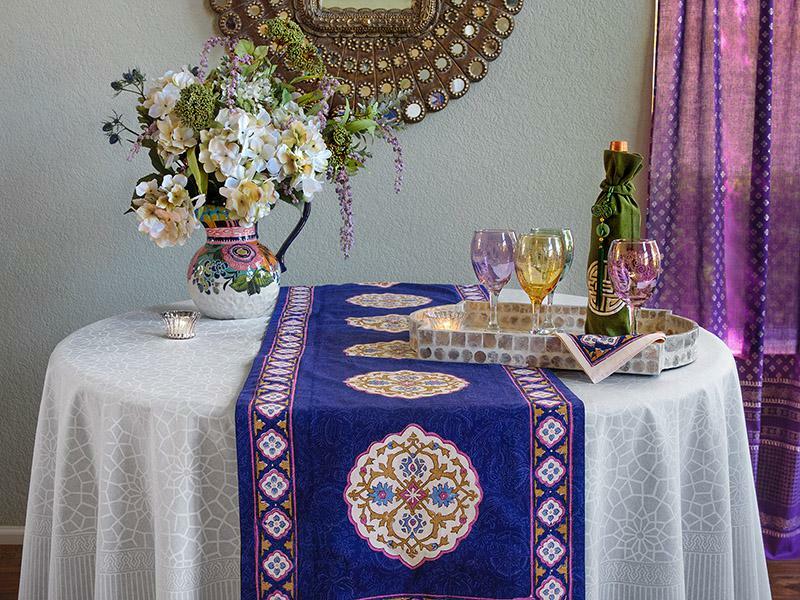 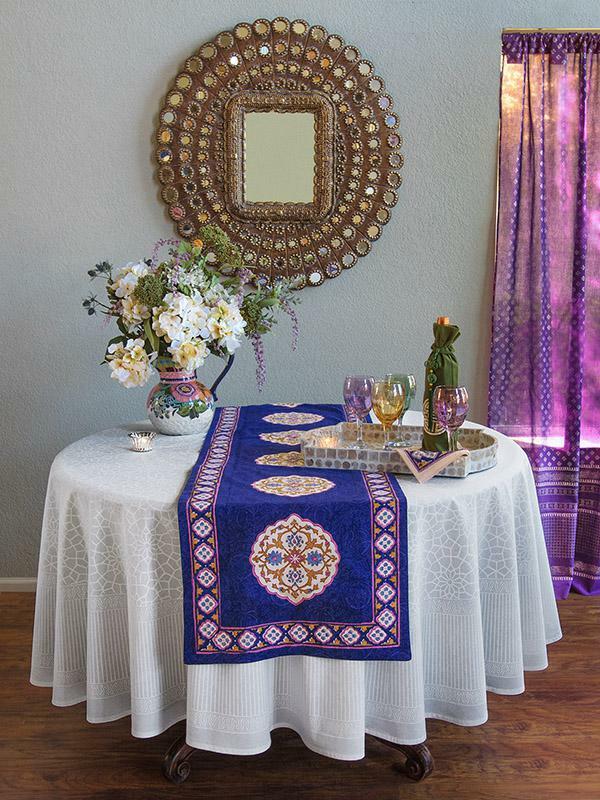 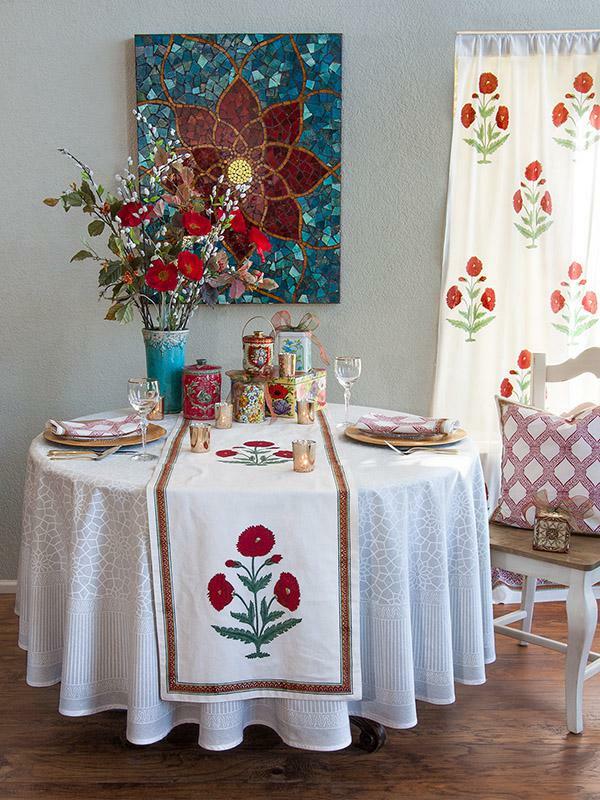 So whether ... [ read more ] you are looking for colorful picnic table cloths, or something cheery for your country kitchen or even a decorative atmospheric setting for an elegant formal dinner party; this luxury cotton tablecloth is sure to add vibrant color and drama to the banquet.